Daymaker™ LED Lamps are brighter and provide a superior light pattern than standard incandescent bulbs. These LED lamps produce a whiter noon-day sun color impression which is easy on the eyes and appears more natural to the rider. The night time beam pattern is focused on the road ahead and is engineered to reduce wasted light that impacts oncoming traffic. The solid-state LEDs are designed for long life and low energy draw. 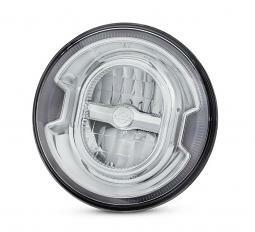 Installation of the shock- and vibration-resistant lamp assembly is quick and easy with a plug-in connection to the factory headlamp wiring. 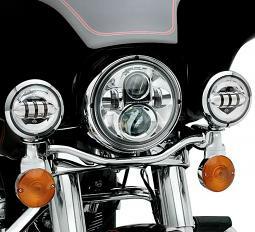 The Harley-Davidson® Daymaker™ 7" Projector headlamp features a single top-mount low-beam projector lens, a large bottom-mount high-beam projector lens and 2 D-shaped fill-light lenses. The LED lamps include a subtle rear-lit Bar & Shield® logo which glows when the ignition is in the accessory switch position. The LED lamps are DOT and ECE compliant for all markets. 7" Headlamp with Chrome backplate. 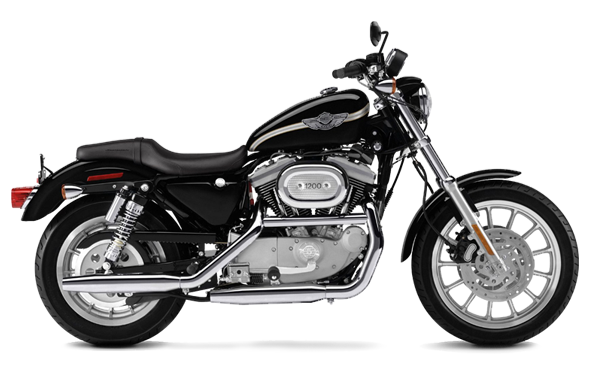 Harley-Davidson®. Made in the USA. Fits '91-'17 FLS, FLSS, FLSTC, FLSTF, FLSTFB, FLSTFBS and FLSTN, '14-later Touring (except Road Glide®) and '14-later Trike models. Does not fit Softail® models equipped with Freight Train Headlamp Nacelle Kit. 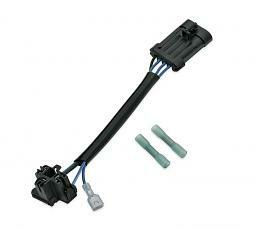 Touring and Trike models require separate purchase of Wiring Harness P/N 69200897. 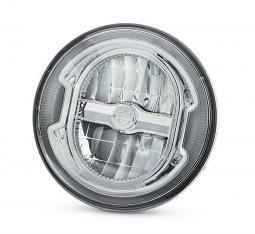 Harley-Davidson® Daymaker™ Signature Reflector LED Headlamp | Chrome 5.75"
Harley-Davidson® Daymaker™ Signature Reflector LED Headlamp | Chrome 7"